All types of alcohol have calories, even if you just have a plain old shot of vodka with nothing added to it. Alcohol has 7 calories per gram to be exact. The more concentrated your vodka is, or the higher the proof, the more calories it'll have in a shot. 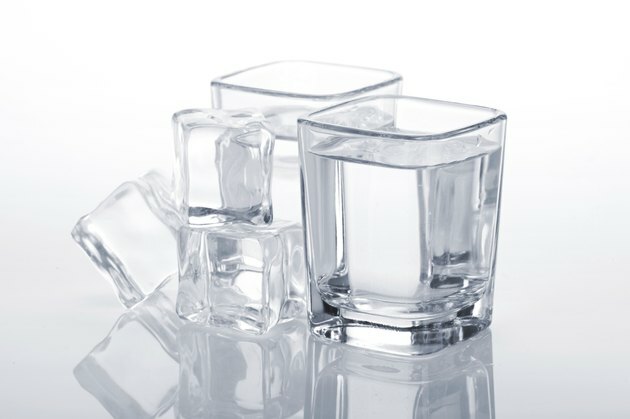 If you opt for a vodka with a high percentage of alcohol -- 50 percent alcohol amounts to 100-proof alcohol -- you'll get nearly 125 calories from a 1.5-ounce shot. Having vodka that is 90-proof, or 45 percent alcohol, supplies you with 110 calories per 1.5-ounce pour. But if your vodka is the 80-proof variety, or 40 percent alcohol, you'll get less than 100 calories in a 1.5-ounce shot.